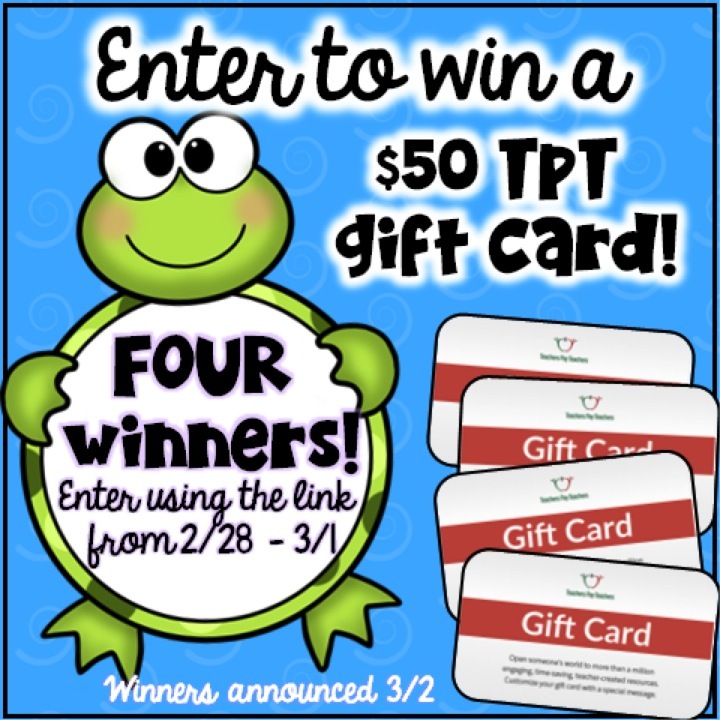 For this year's leap year my friends and I have 3 days of great deals and giveaways for you! There are 38 stores participating. That means we have 38 stores on sale (up to 20% off), and each day there are 38 deals. 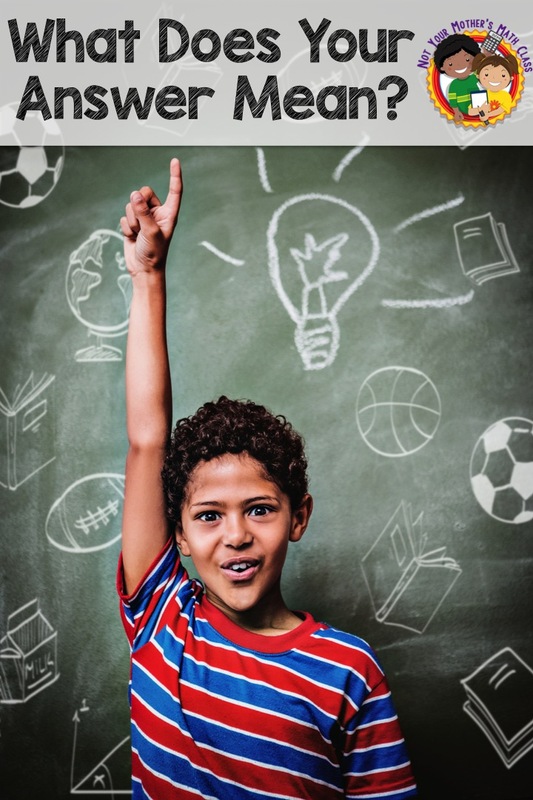 No matter what grade and subject you teach, you will be able to find something that suits your needs. 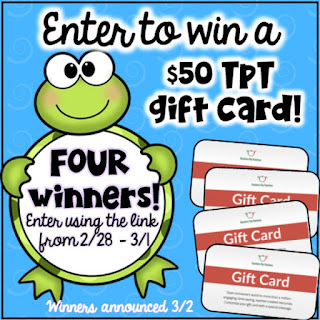 That's not all, we are giving away 4 TPT gift certificates for $50 each. Scroll down to enter the drawings! Click here to see all of today's deals. Sunday 2/28 - Each store is offering a $4 dollar deal. This is a savings of $3-$6. Monday 2/29 - Save 50% off a bundle from each store. Tuesday 3/1 - Each store will offer a resource for $1.00. See all the participating stores at the bottom of this post. Students will probably say that the answer is 48. But 48 what? When you ask that question for the first time you'll probably get a lot of blank looks. Students are not used to putting their answer back into the problem. The answer is of course, 48 paces. In many addition problems you need to add numbers that refer to the same thing in this case paces. This is a simple example but important because it is the starting point. Things get more complicated from here. 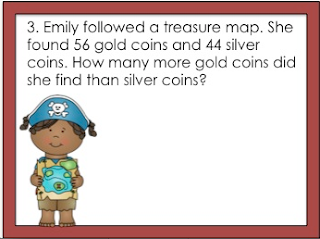 In this problem, there are silver coins and gold coins. Again, most students would be able to solve the computation and get 12. You might get some that say 12 coins. It is important for students to understand that the answer is 12 gold coins. There are 12 more gold coins than there are silver coins. If a student added and got 100, it is obvious that there is not 100 more gold coins than silver coins. There were only 56 gold coins to begin with. What happens when we add multiplication to the mix? To solve multiplication word problems, students need to understand groups of things. 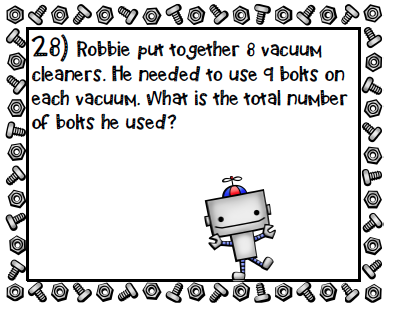 In this problem each vacuum cleaner is a group containing 9 bolts. If they read the question, it is clear they are looking for the number of bolts not the number of robots. 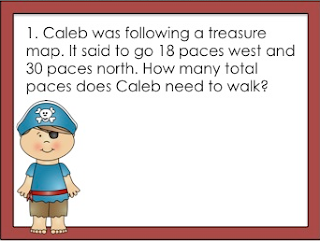 Many students rush through word problems and pick out the numbers and scan for key words. A student who does this may add because they see the word total. We need to encourage them to slow down and read the entire problem and question carefully. Seventeen bolts wouldn't make sense for 9 vacuum cleaners but 72 bolts would. If you require students to include the referential meaning in their answer, it can help you see if they understood the problem. If you need some teaching resources help your students practice word problems (including the task cards pictured above) click here.